Something's happening to the girls on Denton Street. It's the summer of 1980 in Cleveland, Ohio, and Phoebe Shaw and her best friend Jacqueline have just graduated high school, only to confront an ugly, uncertain future. Across the city, abandoned factories populate the skyline; meanwhile at the shore, one strong spark, and the Cuyahoga River might catch fire. But none of that compares to what's happening in their own west side neighborhood. The girls Phoebe and Jacqueline have grown up with are changing. It starts with footprints of dark water on the sidewalk. Then, one by one, the girls' bodies wither away, their fingernails turning to broken glass, and their bones exposed like corroded metal beneath their flesh. As rumors spread about the grotesque transformations, soon everyone from nosy tourists to clinic doctors and government men start arriving on Denton Street, eager to catch sight of "the Rust Maidens" in metamorphosis. But even with all the onlookers, nobody can explain what's happening or why--except perhaps the Rust Maidens themselves. Whispering in secret, they know more than they're telling, and Phoebe realizes her former friends are quietly preparing for something that will tear their neighborhood apart. Alternating between past and present, Phoebe struggles to unravel the mystery of the Rust Maidens--and her own unwitting role in the transformations--before she loses everything she's held dear: her home, her best friend, and even perhaps her own body. Featured as a top book of 2018 by The Horror Fiction Review, Glenn Rolfe, Sci-Fi & Scary, Brian Fatah Steele, Topsham Public Library, and Ancient Logic! Featured as part of Library Journal's Fear Not cover story! For reviews, check out Cemetery Dance, Andrea Blythe, GeeklyInc, We Who Walk Here, Walk Alone, Black Static, High Fever Books, Horror After Dark, Monster Librarian, Speculative Chic, The Beauty and Her Reads, Hellnotes, Bark at the Ghouls, Ink Heist, Red Lace Reviews, Signal Horizon, Booklist, Hellnotes, The Horror Fiction Review, The Misadventures of a Reader, Sci-Fi and Scary, Ladies of Horror Fiction, Glenn Rolfe, Errant Dreams, Shelf Stalker, RA for All, Ancient Logic, and Come and Behold My Dark World! Also, featured on Glenn Rolfe's Best Book Covers of 2018 list! 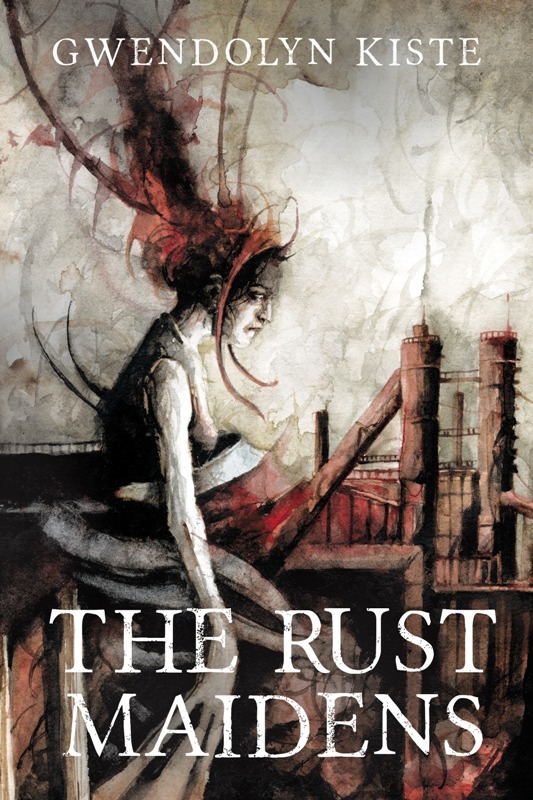 You can also add The Rust Maidens to your bookshelf at Goodreads!